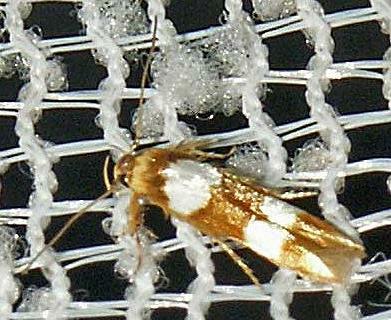 The adult moths of this species have pale brown forewings which each have two broad white bands across the middle. The hindwings are pale brown, darkening towards the margins. The wingspan is about 1 cm. Volume 1, Part 3 (1913), p. 92.